Dominating many non-fiction best seller lists today is Moonwalking with Einstein: The Art and Science of Remembering Everything, by Joshua Foer, Penguin Press, 2011. Reviews are very positive and the topic is spot on for today's market especially, the ageing baby boomer population fearing the loss of their minds as they age towards expected physical immortality! Moonwalking with Einstein is the story of Foer's efforts to understand and develop extreme memory skills which eventually enabled him to become a Memory Athlete and US Memory Championship winner in 2006. The 14th USA Memory Championship will be held in New York City on March 12, 20011 and I can only assume that with Foer's book garnering so much attention, the event will win wide spread media coverage. Memory Loci, the association of memory with visual images of place, originated in the ancient world and was a part of the study of Rhetoric, mentioned by Aristotle and later, Cicero. Legend has it, that in the aftermath of a disastrous dinner party where the poet Simonides of Ceos 556 BC-448 BC, after being accused of insulting the host by mentioning the Gods in his commissioned speech, was able to remember each guest who attended the party after the Gods, insulted by the host, destroyed the banquet hall, reducing it to rubble, and killing all the attendees. Today, contemporary neuroscience, still searching for the secret of memory, provides empirical support for the practice of Memory Loci skills and the ancient techniques returns to some popularity and currency. I noticed announcements and early reviews for Moonwalking with Einstein, the title alone is memorable, but was not personally interested in acquiring a copy. I have a longstanding interest in memory skills since first being introduced to them at Carnegie Mellon University via the required first year Introduction to Psychology course. What captured my attention and interest way back then was the introduction of memory techniques in the ancient world and the use of the Memory Palace by the Matteo Ricci, a Jesuit missionary to China in the 16th century, as a way to establish a trusting relationship with his Chinese hosts, who were very skeptical of the West. The deep history captured my attention and the ease at which various memory techniques can be integrated into everyday life made me a fan. Since then I developed a slight obsession with collecting books concerning Matteo Ricci. I have not been very aggressive in pursuing this obsession but since almost all reviews and commentary on Foer's best selling title are sure to include some mention of Ricci and the origin of the Memory Palace, I decided this merits the creation of a brief, book collecting guide, to all things Matteo Ricci and the Memory Palace. 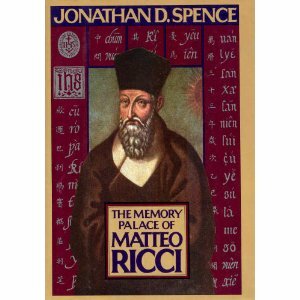 Matteo Ricci is a fascinating character. Born in Macereta, Italy, within Papal governance, in 1552 he was educated in the Jesuit tradition and entered the order in 1571, begins is missionary activities in Goa, India in 1578, is ordained in 1580, enters China in 1582 and dies in Peking in 1610. His education introduced him to science, history, law and religious subjects and he relied on all these in his missionary work. Ricci's time in China is legendary and his efforts to introduce the Chinese to the West legendary. He mastered the Chinese language both spoken and written, created maps of the known world and wrote books important books including, Treatise on Friendship, Treatise on Mnemonic Arts, The Meaning of the Lord of Heaven, a Chinese translation of the 1st 4 Books of Euclid's Element of Geometry, Ten Discourses of a Paradoxical Man and an unfinished Historia. One copy of his Treatise on Mnemonic Arts, published in China sometime around 1640, is known to exist and his actual publications, published in the 16th century are beyond the reach of any, but the truly wealthy collector or Institution! Ricci remains an honored historical character in China today and there are wonderful books to acquire concerning Ricci, he mission to China and, of course, his use of the Memory Palace. The Memory Palace of Matteo Ricci, Johnathan D. Spense, Elisabeth Sifton Books, Viking Penguin, New York, 1984, is a great introduction to Matteo Ricci's mission to China and his use of the Memory Palace in establishing the lasting friendship and trust of his Chinese hosts. There is no better place to start a collection concerning Matteo Ricci than with this book! 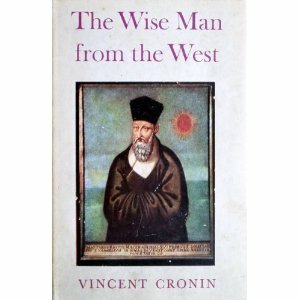 The Wise Man From the West, Vincent Cronin, Rupert Hart-Davis, London, 1955 is an earlier and comprehnsive biography of Matteo Ricci. Cronin was a master bibliographer and this was his second book. 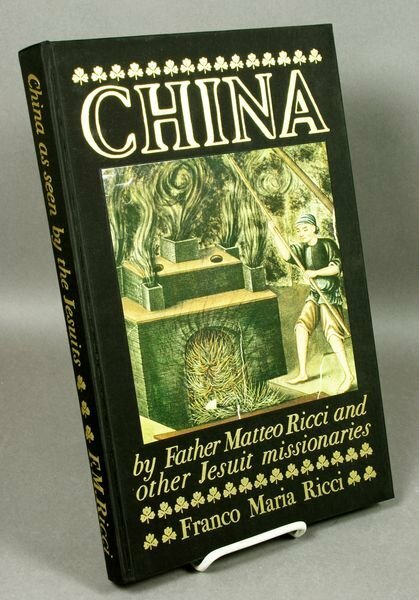 Top on my list to acquire is China Arts and Daily Life as Seen by Father Matteo Ricci and Other Missionaries, edited by Gianni Guadalupi, introduction by Joseph Franz Schütte, S.J., note on the illustrations by Mario Bussagli, Franco Maria Ricci, 1989, 5000 copies printed. Franco Maria Ricci is a special publisher of limited edition books utilizing handmade paper and numerous color illustrations. This book is one I have wanted for years( along with a few other editions) and I also need to write about specifically collecting Franco Maria Ricci books. 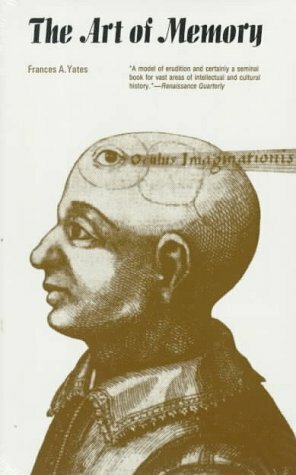 In addition to books specifically about Matteo Ricci and his use of the Memory Palace a great book by noted historian from the Warburg Institute of the University of London, Frances Yates, provides a wonderful introduction to the long history of memory techniques. The Art of Memory, by Frances Yates, Routledge & Kegan Paul, London 1966 (University of Chicago Press, 1966), either edition is worth the price! 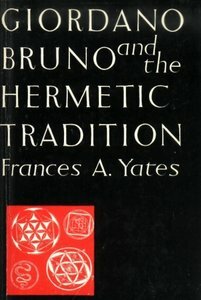 As always happens to me, recalling this Yates classic just reminded me that I still want a first edition, first printing of the very hard to find, Giordano Bruno and the Hermetic Tradition, Frances Yates, University of Chicago Press, 1962 (Routledge & Kegan Paul, London, 1964). Bruno caused a world of trouble for himself when introducing the masses to the memory palace during the Renaissance! Some children's dream is they want to become an astronaut when they grow up. But it's need a lot of time. If your child have this dream you can rent an inflatable moonwalk where your child's get an experience of how it feels to walk on the moon.